Univeristy of Trinidad and Tobago animation programme alumni (from left to right) Stevenson Lacroes, Danielle Blaize and Shane Young Sing. An animated comedy series, a folklore video game and a music group documentary are among the projects in which three of the alumni of the University of Trinidad and Tobago (UTT) animation programme are involved. The trio were honoured last week as part of the annual Animae Caribe Animation and Digital Media Festival 2017. Stevenson Lacroes from Curacao, and Trinis Danielle Blaize and Shane Young Sing spoke with Sunday Newsday about these projects. Lacroes recalled he was in Curacao finishing high school when his teacher, who knew he was good at computer animation, spoke with founder and UTT animation department programme leader Camille Selvon-Abrahams about enrolling him because there is no animation programme at university in Curacao. He became a UTT student in 2014 and described it as an amazing two-year experience. He learned what was out there in the animation industry and what tools animation studios are using. He said he was initially interested in 2D animation, but after being exposed to 3D he pursued that instead. Always a film person, Lacroes decided to combine 3D and film via visual effects. On the animation side he worked on motion design, designing shapes and motion graphics instead of characters. After completing the UTT programme he returned to Curacao and has been working as a visual effects/design generalist artist at a studio. He works predominantly on commercials, a field that is a very small in Curacao. 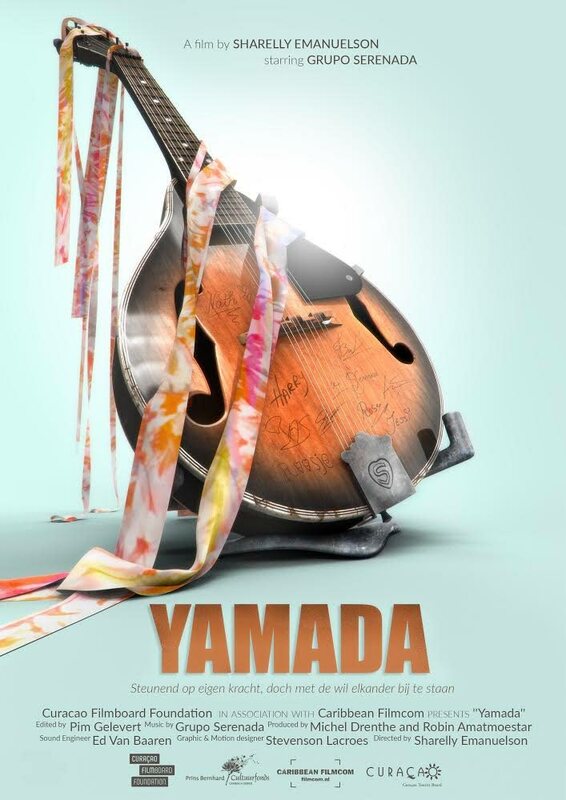 A poster from the Curaçao documentary film Yamada. Lacroes worked as motion designer/graphic designer artist on the documentary Yamada, a film about Curacao musical group Serenada, which was formed in 1975 when a rock band merged with a church choir. Lacroes designed the intro sequence for the film which was released on October 4. He said working on the project was a nice experience, as he had to work with a team and take advice on what they were looking for, which can at times be hard to translate. Lacroes said he was glad he could learn animation here and then return to Curacao with all his knowledge. Blaize said she has been drawing since “forever” and would make stories - initially rip-offs of cartoon characters like Tom and Jerry - and then started to make her own stuff. She had always been doing art, and animation was the next logical step. She joined the UTT programme in 2013 and completed in 2015. At Anime Caribe 2015 she won the Student Film Award for her film Dance of the Daring, and was selected to represent TT at several international expos. She also participated in KingstOOn 2015 Animation Conference and Film Festival. An image from the webcomic Spiritbound by Danielle Blaize. Blaize also developed a web-comic about a girl named Krystal Amorer, who is thrust into the affairs of the supernatural after the night she was murdered. 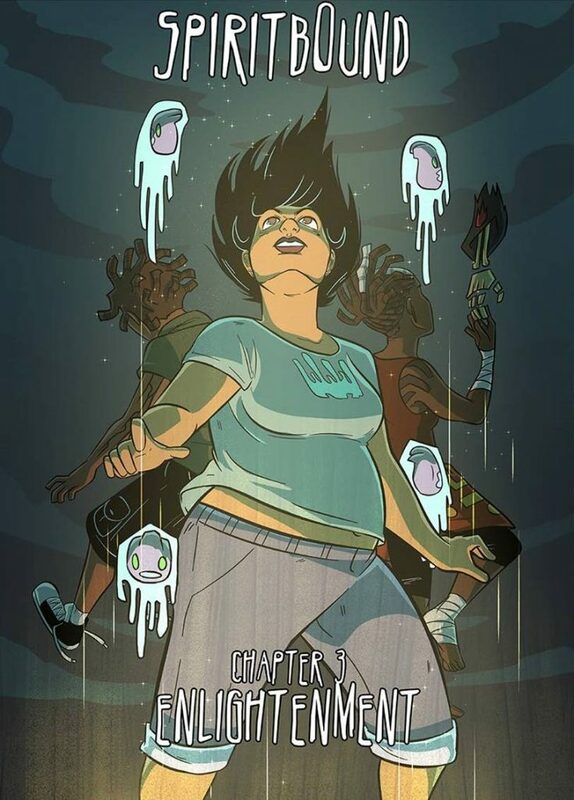 The comic is a twist on Trinidadian folklore, and features themes of family, friendship and encountering trials and tribulations. Blaize is also involved in the development of a video game called Le Loupgarou, which is loosely based on the Derek Walcott poem on the eponymous legendary character, the St Lucian equivalent of a werewolf. The project is being done by independent video game studio Couple Six in Barbados. She is a 3D animation generalist on Le Loupgarou–after the artist does the designs she does the modelling, texturing and gets it ready for animation and then she does the animation. Young Sing was drawing well from childhood and recalled pausing a film on the VCR to draw it, much to the annoyance of his father. He graduated from St Mary’s College in 2002 but the only avenues for his talent were graphic design and, less desirable for him, web design. He dabbled in both but never felt fulfilled. He decided to give up on art and worked in the insurance and real estate industries for a while. In 2010, he saw an ad in the newspapers for the UTT animation programme and he said “adiós” to the real estate industry. He signed up for the programme that year and finished in 2012, winning an award for Best Caribbean Animation at Anime Caribe. He got scouted and worked with Full Circle Animation for about three years as an animator, where he learned a lot about the business side of the industry. He went on to work with media production company Lab206 where he did pre-production, storyboarding and concept design and animation. He then worked for a time doing graphics for a real estate website doing motion graphics and after effects, but the department was eventually shut down. In January, on his own again, he found work doing illustrations, concept design, storyboarding and caricatures and graphic design, which he always tries his best to dodge. 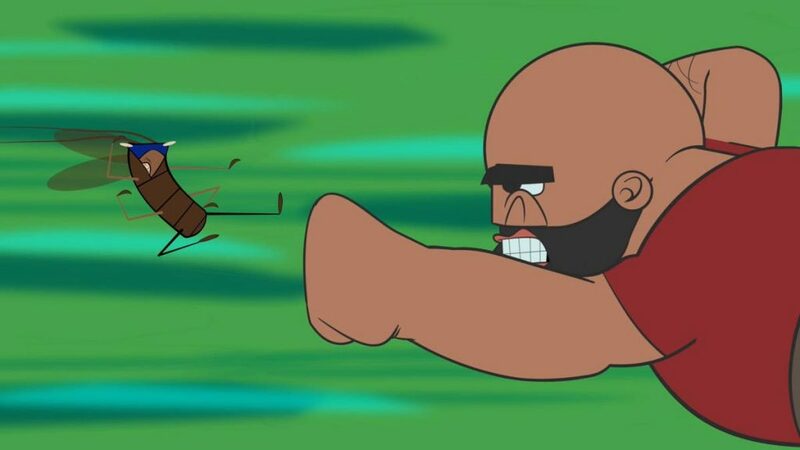 Big Man Dan battles a flying cockroach in his digital short. “You do what you love and that’s what you put your focus, your money and your time into. That’s what you should be doing.” Eventually Young Sing was contracted as animation director and art director by Story Play for its comedy animation project, Big Man Dan. The company had drafts of its vision and the stories and characters written, and it was a “blast” getting into it. He also took on the role as storyboard artist and concept artist. He described working on Big Man Dan as a ground-breaking opportunity. He has been working with the industry standard Toon Boom media programme; the Canadian software company is the leading supplier of animation software and storyboard software for animation studios and media publishers. He said he got into animation to do traditional work, and with the Toon Boom software he has mixed traditional and digital, or “tradigital” for Big Man Dan. He said it was an honour being recognised by UTT and was glad for the opportunity to motivate students to keep on going. Reply to "Blazing the Animae trail"